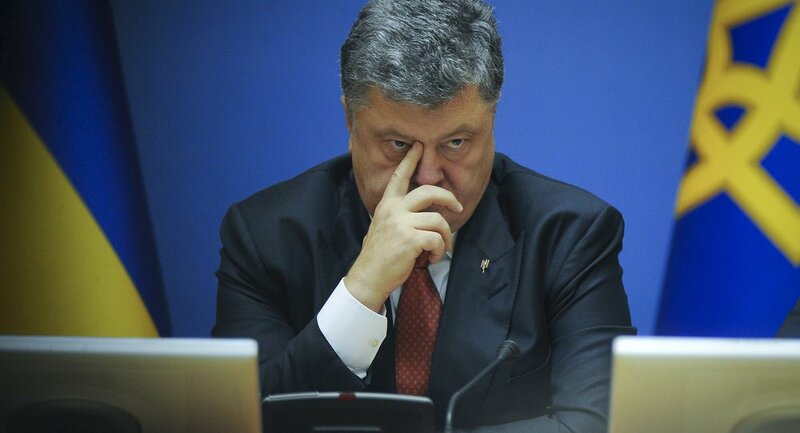 Ukrainian President Petro Poroshenko became furious after a New York Times article criticized Ukraine for being embroiled in corruption and accused the US newspaper for waging “hybrid warfare” against Kiev, Ukrainskaya Pravda reported. A few days ago, the New York Times published an article calling the level of corruption in Ukraine "unyielding." The newspaper wrote that the US government must stop pouring money into a "corrupt swamp" that Ukraine has become unless its government implements some real changes to battle corruption. Upon reading the article Poroshenko became extremely defensive and accused the New York Times of waging "hybrid warfare" to discredit his country. "I'd like to be clear about this: today hybrid warfare is being waged against Ukraine, in particular, using the mechanisms of information distribution which discredit Ukraine," Poroshenko said, as cited by the newspaper Ukrainskaya Pravda. Russian Foreign Ministry spokesperson Maria Zakharova didn't let Poroshenko's words pass unnoticed. "Now Kiev should demand that the New York Times is included in some sort of sanctions list. Better American one," — Zakharova commented on Poroshenko's accusations at the newspaper, which had supported his government many times in the past. The New York Times also called Poroshenko "a product of the old system" who "seems to have accepted continuing corruption as the price to pay for a modicum of maneuvering room." Seems like the patience of the US government, which in the past has been very generous toward Ukraine, is beginning to thin out. Since the overthrow of former Ukrainian President Victor Yanukovych, the US government has provided Ukraine with two loan guarantees worth $2 billion and hundreds of millions in other assistance. Levels of corruption in Ukraine are extremely rampant. According to Gallup, 81 percent of the country's population believes corruption extensively affects Ukrainian businesses, while only 5 percent of people believe that the government is doing enough to fight corruption. In 2015, Transparency International ranked Ukraine 142nd out of 175 investigated counties.